New programme for AW 2012! Take a look at our new programme launching for September 2012! 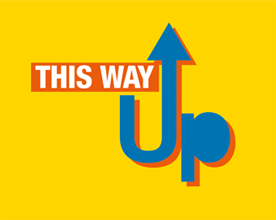 This Way Up is an exciting and thought provoking insight into the not-for-profit sector of industry. Students are set challenges that revolve around tough decision making and could see their chosen cause benefit from their ingenuity and determination. In the fast-paced climate of today, students will not only learn more about the workings behind the charity sector but also how the direction of their effort affects the ultimate goal. This programme has been designed by industry professionals with over 10 years experience in marketing and the not-for-profit sector. We bring to the programme real-life experiences and know-how on fundraising, campaign building and on the ground support across a variety of different causes. To find out more about this exciting programme, take a look at our programmes page or ask us for further details in a brochure.